Check it out and One-Click your way to new free games. The original Descent 1 and 2 games by Interplay were released to the OpenSource community and have since been maintained, updated but remain backward compatible to the original games released in the early and mid-1990s. These games DO require you to purchase the original game for the data files. The data files are not freeware. Currently, getting these data files is not possible due to some legal disputes between Interplay, the publisher and Parallax Software, the creator. In this game, race against other players on a permanently moving lightcycle (virtual motorbike), which leaves a wall as a trace. The lightcycles can make 90 degree turns and accelerate when driven close to walls. The game is over if you hit a wall. The goal of the game is to try to make your enemies hit the walls, while you avoid doing the same. Unlike glTron, this program does not require 3D hardware support. I consider Steam to be today’s gaming choice for quality Linux commercial software. Some things are free on Steam, but most is not. You can at least download and enjoy some demos. 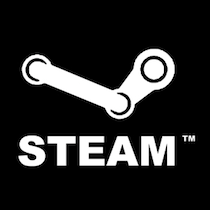 For more information on Steam, click here. RPG Beat-em-up with hours and hours of 8-bit-like graphical and musical entertainment. I run it through Steam but there is a GOG option as well. This game is a sequel to the original “River City Ransom” for the Nintendo Entertainment system.